Stroke: adjustable to 30 "
We are the professional manufacture enterprise of hydraulic machinery and all kinds of scrap processing equipment. Bale Weight: "30-45KGS (IN AL) 100-120KGS (IN MS)"
Hydraulic Balling Press.Over all Height of Machine 2800mmOver all Length of Machine 1450mmOver all width of Machine 800mmBale Size 600X600X600mmBale Weight 60-70KGS. ApproxFullyautomatic operated Hydraulic Power Pack. 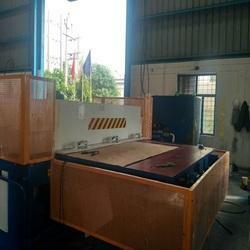 Modern Scrap Bailing Press are designed for processing plastic, aluminum, ferrous or non-ferrous scrap in all forms. They are capable of compressing various leftover, metal scrap, metal structural, metallic chips, cardboard, coir into square bales. The bails can be made according to the customer's requirement so that they are convenient for storage, transportation & metallurgy. It has a Hydraulic Ejector system. Equipped with four cylinders. 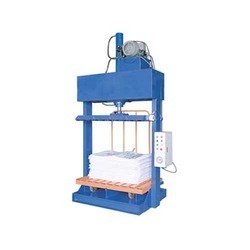 Our presses are available in double compression with ejector cylinder, manual door & auto door). These are suited for all types of ferrous and non-ferrous light metal scrap material including stainless steel, MS scrap, aluminium, brass, copper and other industrial tin sheets.